Hello, my lovely ladies! Welcome to Fashionsy, your favorite source of fashion inspiration. I know that you want your hair to look awesome, so that’s why I bring you some Easy Hairstyle Tutorials For Busy Ladies. During busy days, you might not have enough time to pay attention to your hair. Luckily, there are some nice hairstyles that you can do in minutes. This means no more bad hair days! There are a few tricks that save me precious time each morning. And I want to share them with you. So, scroll down and check them! If you like curly hair, then this is the thing for you. Working with a hair curler means that you will end up with some tight baroque curls that will make your hair look short. 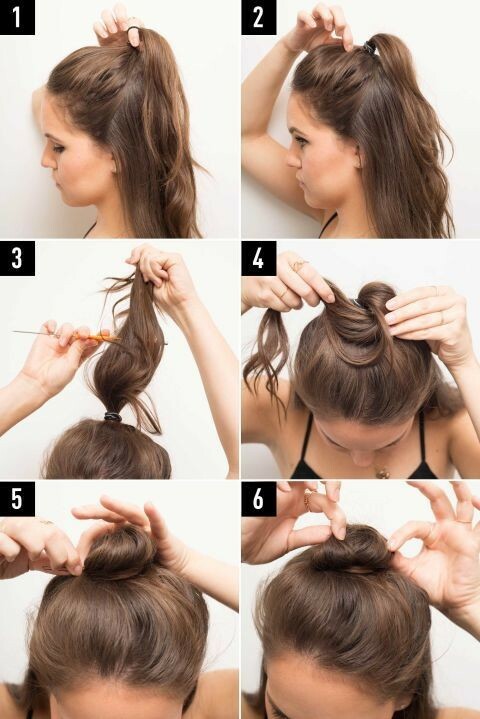 But, this is the trick-tie your hair in a ponytail. Divide it into two sections, and curl each one. When you lose the ponytail, your hair will have the nice loose curls. If you find your hair flat, then adding a bit of texture will spice things up. You can create subtle waves using a flat iron. How can you do this? Simply divide the hair into four sections, and braid each one. Iron each braid and let them cool. Even then, remove the hairband and your waves are done! This is an excellent idea for the girls with mid-length hair. You divide the hair into three sections and roll the two over the middle one. This is an easy idea that you can use for special occasions as well. The instructions are clear and all you need to do is to follow them. You can also add a fancy hair accessory to give it a glamorous touch. This is a nice way to put those bangs into order. A small knot on the top will look so cute. Do not forget to tease the section to give it a volume boost. This is a step-by-step tutorial for braiding your hair all by yourself. This beautiful hairstyle is perfect with a hat. Do not forget to loosen up your braid for a casual look. If you have long hair and are tired of the boring ponytails, this is the thing that you should go for. place a few bands along the length of the ponytail. Make a hole in the first one with your fingers, and slip the second in. Do this till the end. 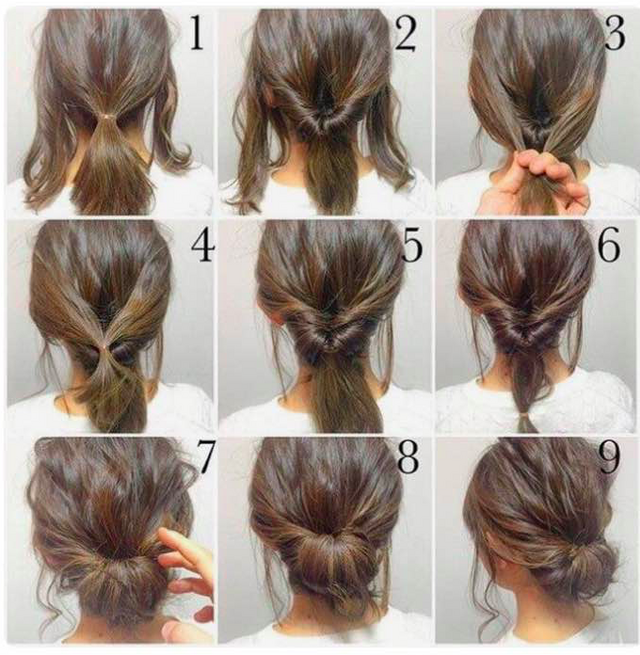 Another cute hairstyle that is worth giving a try. Make two braids, incorporate them in the ponytail, and twist the hair around the braids.